A lamp is not just a device for lighting. It makes a statement about you! 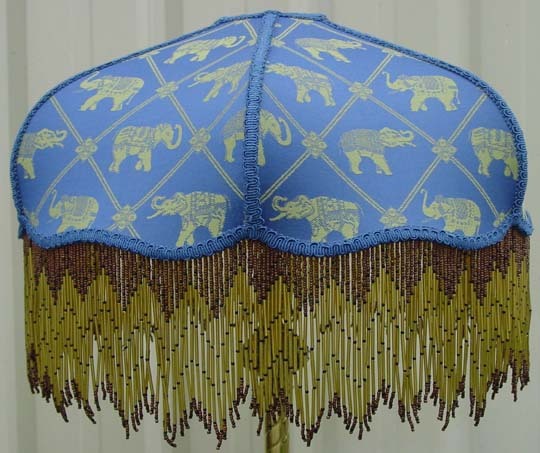 A new lampshade is like having a new dress, or a new suit... it can make your day (or night) ! 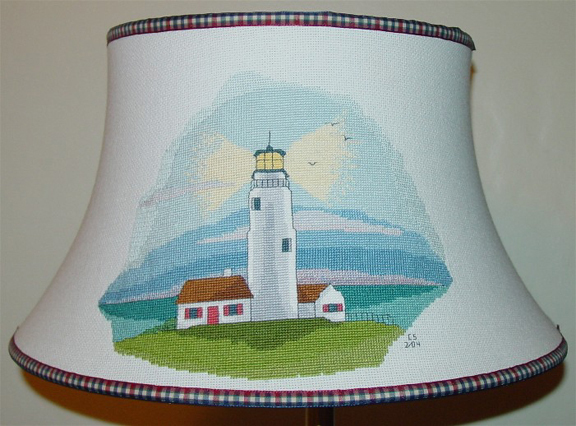 Take a look around.... do your lamps need "new clothes"? Whether you need parts to restore an antique or vintage lamp, or a completely new lamp, we have (or can usually get within a week) almost anything you need to bring your lighting to life! 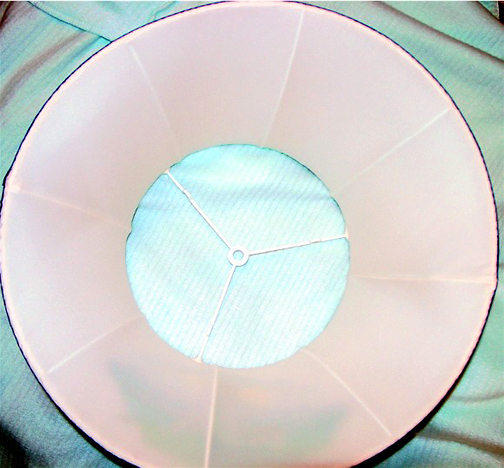 Refurbishing antique lampshades is one of my specialties! Don't throw out that old tattered shade; I can restore it like new! If you don't have an old frame to restore, choose from over 3,000 frames in my inventory. 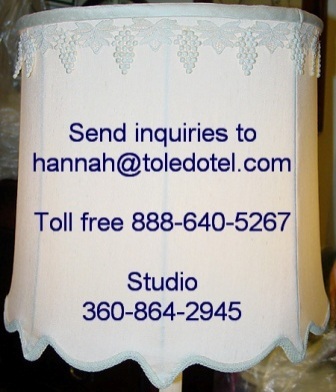 Call for a free consultation regarding any of your lamp or lampshade needs. Hand Made in the United States of America! 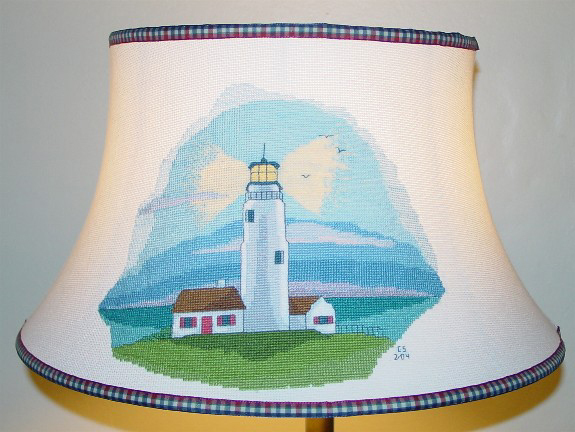 Customer's daughter made this beautiful cross-stitch Lighthouse used to create a very unique lampshade - a family heirloom, for sure! 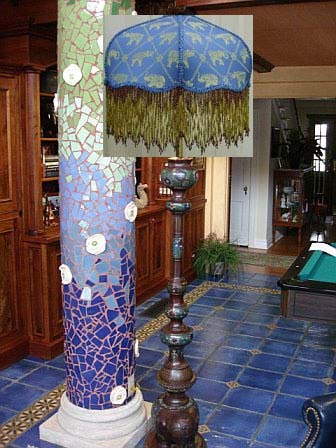 I superimposed the lampshade picture on top of the picture of the lamp to give you an idea what it would look like. Call to discuss any custom shades you'd like. Current estimate 4-5 weeks for delivery. Business is flourishing, and there's only one of me! "I haven't met the lampshade I couldn't duplicate"
We accept credit cards directly. We also accept other credit card payments only through PayPal. Call us first to determine shipping charges.